To see available headphones, please click here. 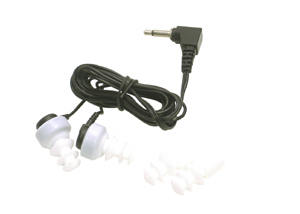 High quality, low cost single bud earphone for hearing assistance, assistive listening and language translation. Compatible with all brands of hearing assistance systems. 1 meter cord, 3.5mm mono plug. Same style earphone from Listen Technologies. Same style earphone from Telex. Same style earphone from Williams Sound. Looking for Gentner brand earphones? Click here. listening and language translation. Compatible with all brands of hearing assistance systems. 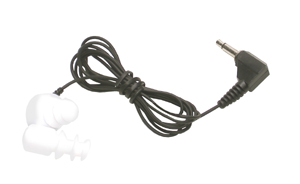 1 meter cord, 3.5mm stereo plug. 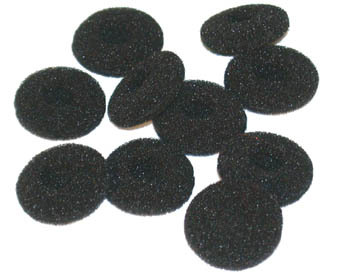 Replacement ear cushions, package of 20. For earbud earphones shown above. 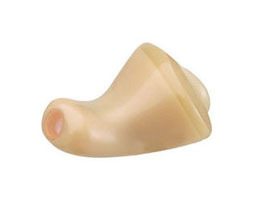 Same style earpad from Listen Technologies. Package of 20. 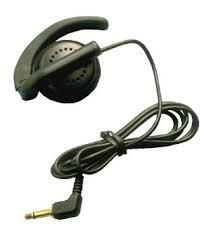 Same style earpad from Telex. Package of 12. Same style earpad from Williams Sound. Package of 10. Same EAR 013 earphone with an installed flexible eartip to improve coupling. Allows for higher SPL levels before feedback. Compatible with all brands of hearing assistance systems. Replacement eartips. Package of 2. A tool for installing flexible eartips is available. To go to that page, please click here. Alcohol swabs for cleaning this style of earphone are available. Same EAR 014 earphone with installed flexible eartips to improve coupling. Allows for higher SPL levels before feedback. Compatible with all brands of hearing assistance systems. 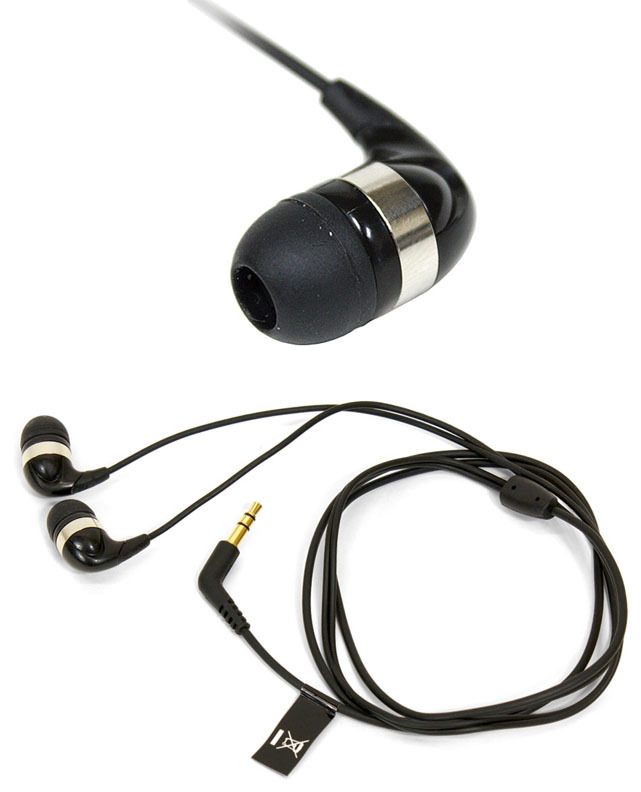 This earphone has soft rubber eartips to improve coupling. Allows for higher SPL levels before feedback. Compatible with all brands of hearing assistance systems. Same style earphone in a dual package. High quality, low cost single ear hanger style earphone for hearing assistance, assistive listening and language translation. Compatible with all brands of hearing assistance systems. 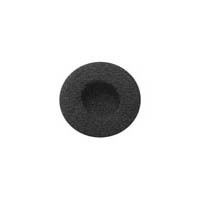 Replacement earpad for ER034 and EAR 008 earphones. Same style earpad from Williams Sound. High quality, low cost surround style earphone for hearing assistance, assistive listening and language translation. Compatible with all brands of hearing assistance systems. Same style ear spreaker from Listen Technologies. 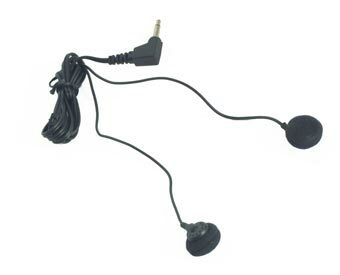 Audio adapter allows the use of earphones and headphones with a stereo plug in Williams Sound receivers. Converts the audio to apply sound to both ears. For use with neckloops or loop systems. 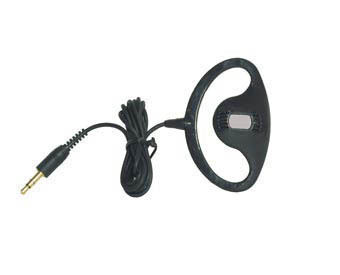 The ER016 induction receiver is a miniature, self-contained induction loop receiver that fits entirely in the ear. 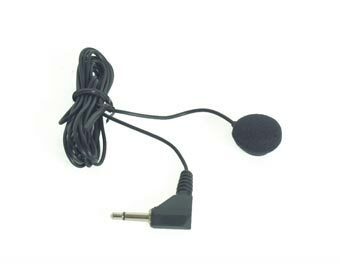 Use it with a neckloop telecoil coupler for talent cueing, IFB, surveillance and other applications. It can also be used with large area loop systems. 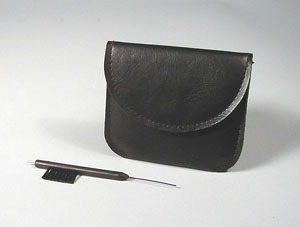 Operates on a single button cell (10) battery, which is included, along with a carry case and cleaning brush. Replacement carry case for the ER016 induction receiver. Replacement cleaning tool and brush for the ER016.